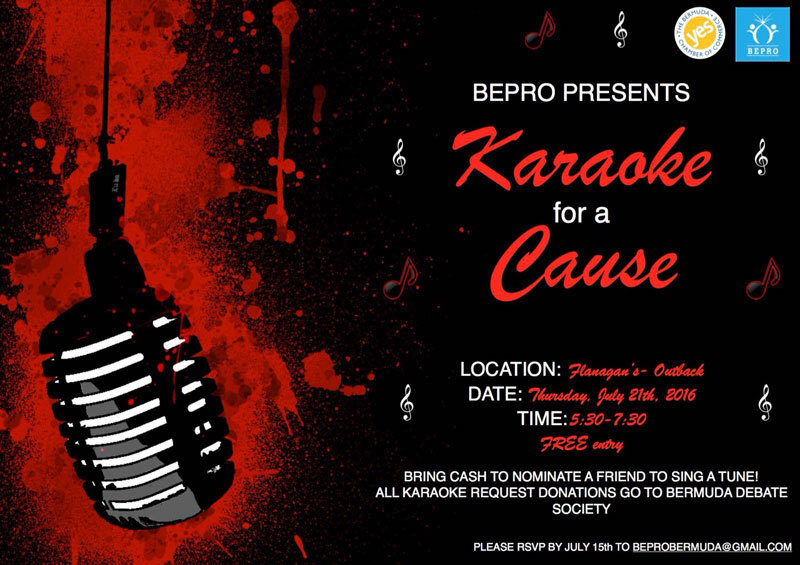 BEPRO will hold a ‘Karaoke for a Cause’ event on Thursday, July 21 from 5.30pm to 7.30pm at Flanagan’s Outback, with entry to the event free. A spokesperson said, “Give a donation to sing a song or nominate a friend; all funds will go to Bermuda Debate Society. To attend the event, RSVP by July 15 via email to beprobermuda@gmail.com.